BSM Media partnered with ZURU to promote Mayka Toy Block tape during the Easter shopping season. 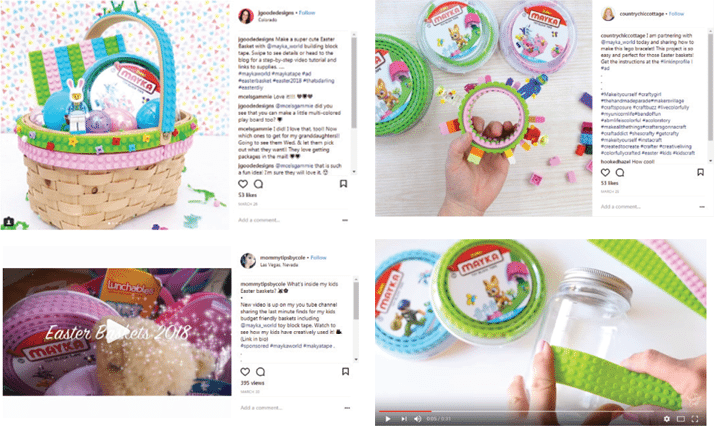 BSM Media engaged with influencers to create themed videos featuring Mayka products leading up to Easter. Videos were shared on blog posts and on influencers’ social media channels, including: Instagram, Pinterest, and Facebook. The videos were shared on both YouTube and Facebook and each video averaged 10,000 views.